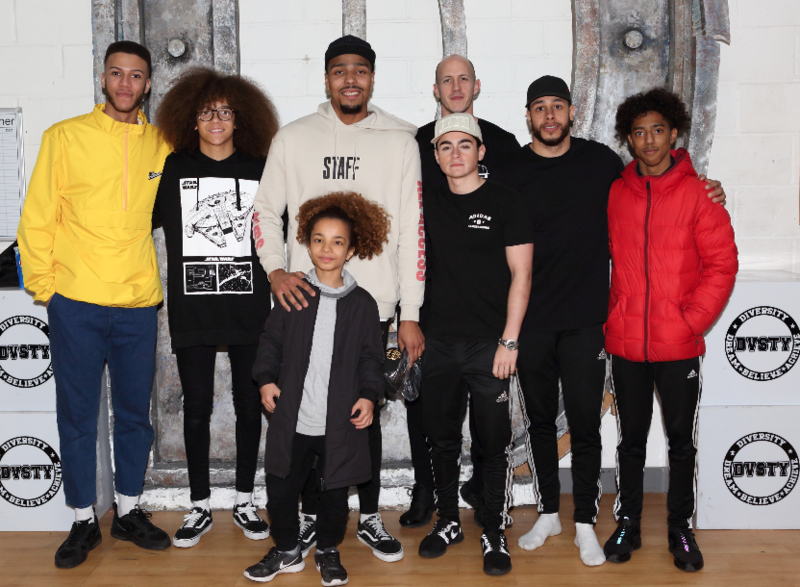 The Liberty Shopping Centre has recently made a local schoolboy’s dreams come true, after arranging for him to meet his idols. Isaac Getachew, 11, a student at Sanders School in Hornchurch, was invited to meet dance troupe Diversity, after he captured the attention of centre staff at The Liberty two years ago. In 2014 he was spotted expertly sketching outfits being modelled at the centre’s Fashion Show Weekend, which was choreographed by Diversity members Ashley Banjo and Nathan Ramsey. A regular visitor to the centre, Isaac is passionate about art, fashion and dance and hopes to establish a creative career in the future. Members of the dance troupe offered Isaac advice on various dance styles that are good disciplines to undertake, while Perry Kiely, whom Isaac is often told he resembles a younger version of, offered advice on hair styling and fashion tips. Jonathan Poole, Centre Manager for The Liberty, said: “When we first saw Isaac sketching at our fashion shows back in 2014 we were instantly impressed by his sheer determination and passion. “Diversity are a great example of local people achieving their dreams and as The Liberty is at the heart of Romford’s tight knit community, it is important to us that we encourage local talent as much as possible. Isaac added: “I’ve been a fan of Diversity since they won Britain’s Got Talent in 2009 so it feels like a dream come true to meet them.